Environmental Site Assessment | Argus Environmental Consultants, Inc. 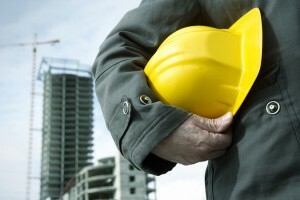 Need an Environmental Site Assessment in San Antonio? A basic environmental site assessment is an investigative report that shows the results of possible or already existent environmental contamination problems. The investigation includes all of the land as well as past improvements made. The results are given in a written format to clients. Should there be a contaminant present, further investigation may be necessary. How does Argus Environmental conduct their assessments? Argus Environmental follows the American Society of Testing and Measuring (ASTM) Standard E1527-05 in the conduct of our assessments. Our assessment typically involves an area of commercial real estate with respect to contaminants within the guidelines of the Comprehensive Environmental Response, Compensation and Liability Act (CERCLA) (42 U.S.C. 9601) and petroleum products. Our assessment is intended to allow a client to satisfy one of the requirements to qualify for the landowner, property owner, or purchaser. This is based on the limitations of CERCLA liability or landowner liability protections. Our investigation includes "all appropriate inquiry into the previous ownership and uses of the property consistent with good commercial or customary practice" as defined at 42 U.S.C. 9601(35) (B). Our environmental consulting firm will provide sufficient documentation of all sources, records, and resources used in conducting the assessment required by the ASTM guideline. The results will be in the form of a written report which includes historical data base searches, aerial photographs, and topographical maps.